This week, doctors in Beijing warned its citizens that the bird flu crisis in the country is becoming a pandemic. According to local reports, more than 200,000 birds were found to carry a new strain of the avian flu, H10N8. “The pandemic potential of this novel virus should not be underestimated. The H10N8 virus has contented to circulate and may cause more human infections in the future,” said Shu Yuelong, a Virologist from the Chinese Center for Disease Control in Beijing. Experts say testing for the H10N8 strain should increase. A 55-year-old woman was recently hospitalized because of the virus, while a 73-year-old woman died in early December. Though this may be surprising to many, China is no stranger to food borne diseases. In fact, this epidemic is the fifth avian influenza strain to emerge within the country in the last 17 years. In 2013, China confirmed 115 H7N9 cases, which included 25 deaths. 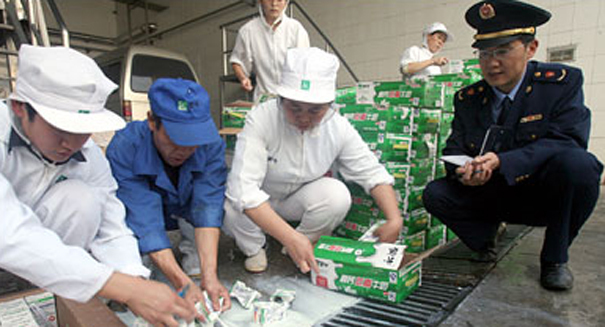 Another incident in 2008 reported milk being tainted with melamine, a chemical compound used in pesticides. This incident claimed the lives of six children, and hospitalized tens of thousands. Since this occurrence, Beijing has improved effort in monitoring and regulating its dairy farms and production facilities. Food safety is not the only concern facing citizens of China. Reports show that over three-quarters of the surface water flowing through China’s urban areas in unsuitable for drinking or fishing. According to a study in 2009 by the Ministry of the Environment, about 42 percent of the country’s rivers at the time were unsuitable for both drinking or fishing. The study also shows that about 4.05 million hectares, or about 7.4 percent, of the nation’s irrigated lands were irrigated with polluted water. The Chinese government is aware of the problem, and is making an effort to solve the epidemic, according to state television. Beijing and Hong Kong, however, have been able to keep up with the number of outbreaks of disease due to the lack of food and water safety regulations in the country.